I can’t even believe it’s that time of year already! But- it is! Over the next few weeks I will be doing a Gift Guide series for you all, from stocking stuffers to gifts for him and her! Today, I will be focusing on stocking stuffers. I don’t know about you guys, but I always end up having a stocking that is overflowing for my girls. I get small things here and there, forgetting along the way how many “small things” I have gotten! I know I can’t be alone on this one! I love stocking stuffers….between my husband, my in laws and my parents, I am set on gift cards for a long time, never have to buy socks and have enough of my favorite yummy snacks (Boston Baked Beans are, without fail, always in my stocking) to hold me over for a while! Of course I love all of this. Like every single one, and it was hard to not buy it all for myself. I already have a few My Saint My Hero bracelets, but they are so meaningful, affordable, and look great when worn together! A photobook of my instagram photos would be so cute! I have always said how I want to make some sort of photo book…this would be the perfect and most stylish way! A portable charger is probably one of the most useful gifts (way more useful than a blender or vacuum, am I right?!). I know as a blogger it’s something I could definitely use! What are some of your stocking stuffer favorites? 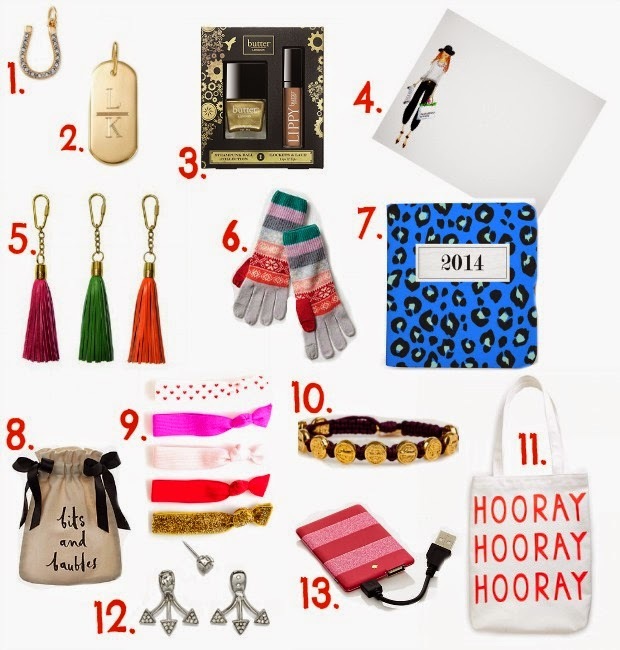 Don’t forget to enter an amazingly generous giveaway from Kohls here. They are giving away a diamond ring!! Who wouldn’t want to win that? See you back here next week- I’ll be sharing some outfit inspiration and Black Friday/Cyber Monday shopping guides! Oh my goshhh I want! Tis the season!! Our family stuffs our stockings with the small, cheapy, unimportant gifts but I still love going through the stocking most of all. I've talked to other people who put their very best, most expensive gifts in the stocking like hefty giftcards or diamond jewelery. Which way does your family lean?